About 4,000 students and their families in high-poverty areas will benefit from a $2.5 million grant that will provide wraparound services, including social, medical, financial, and emotional support. The Board of Education approved the use of grant funds from the U.S. Department of Education that will convert five HISD campuses to community schools under the district’s Every Community Every School initiative. This entry was posted in Every Community Every School, News, Wraparound services and tagged Benavidez ES, lockhart elementary, Marshall ES, Robinson ES, thomas middle school on November 9, 2018 by HISD Communications. The Houston Independent School District’s Transportation Services department will host a job fair this month to recruit bus drivers as part of continuing efforts to make sure all routes are fully staffed and drivers are available for both new routes and to provide coverage if employees are absent. The job fair will be held from 9 a.m. to noon on Saturday, Sept. 22 at Sterling High School. This entry was posted in Business Operations, District I - Elizabeth Santos, District II - Rhonda Skillern Jones, District III - Sergio Lira, District IV - Jolanda Jones, District IX - Wanda Adams, District V - Sue Deigaard, District VI - Holly Maria Flynn Vilaseca, District VII - Anne Sung, District VIII - Diana Dávila, Elementary Schools, Every Community Every School, Transportation on September 18, 2018 by HISD Communications. 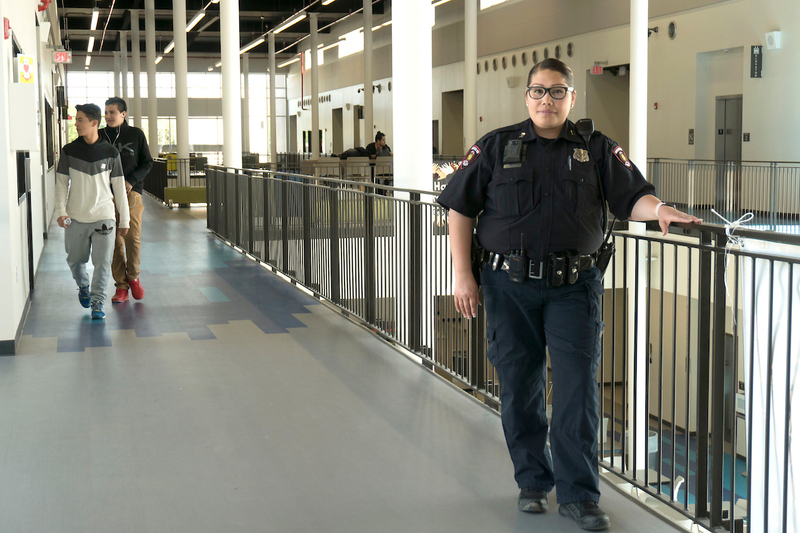 Wisdom High’s School’s new Wraparound Resource Specialist Wagma Isaqzoy has only officially been on the job for a few weeks, but her efforts are already making a lasting impact on students. This entry was posted in Every Community Every School, HISD: Our Story, News, Wraparound services and tagged Every Community Every School on December 14, 2017 by HISD Communications.